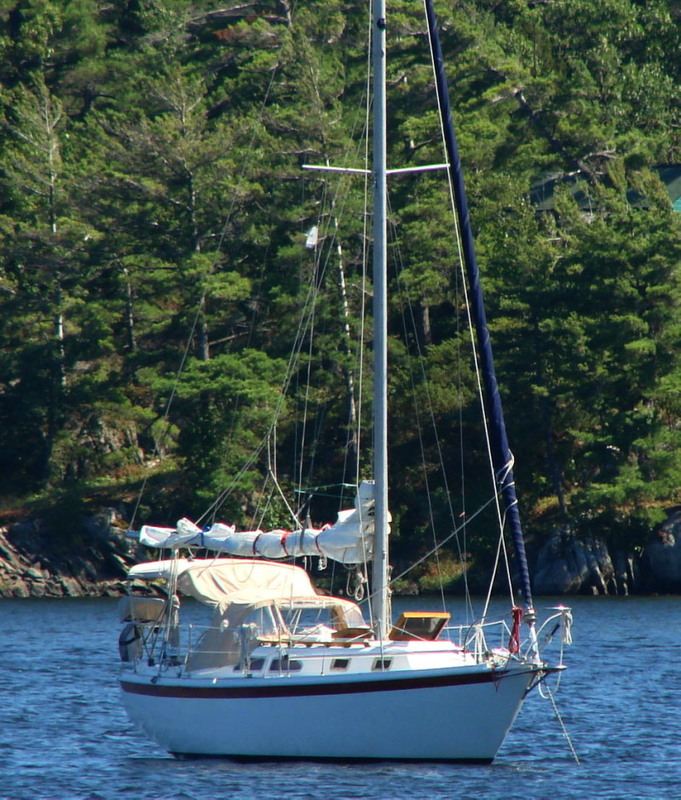 The Ericson 29 is a very forgiving boat and a pleasure to sail. Eva is beautifully maintained with custom black cherry cabinetry throughout. She is quite roomy inside and well equipped for extended cruising with updated electronics and a powerful 135W solar panel with four house batteries. Her original gas engine was replaced in the early 90's with a new 18hp Universal diesel, and her main and foresail were updated more recently. A rare find for anyone lookling for a clean, classic sailing cruiser.